Split Fins vs Paddle Fins: Which should You use? There’s an ongoing debate between divers whether split fins or regular fins are better. Regular fins are also usually referred to as paddle fins, blade fins or full fins. Historically, regular fins are what were the only fins available for diving and snorkeling. The usual argument you will hear about split fins is that they great in calm waters where they offer good propulsion. In currents they are not working that well for many divers. 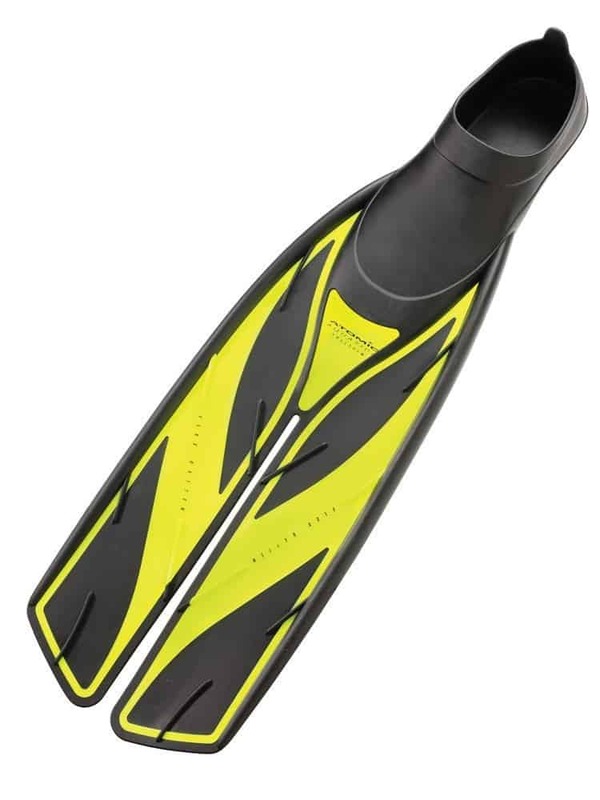 Paddle fins overall can offer better propulsion and allows better control. Some also say that they have a better feel when using regular fins. When you’re diving anywhere you will see that divers use either split fins or blade fins. The visual difference between the two is very obvious. The regular fin consists of one solid blade while the split fin, as the name suggests, is split down the middle. Blade fins have been around since the 1940’s. Split fins are a relatively new invention. The differences for the diver are experienced when it comes to propulsion efficiency and power and conservation of air during a dive. The propulsion power of regular fins is directly dependent on the strength of the kick. It’s pretty straightforward. The harder the diver kicks, the more propulsion power is generated. This also allows an experienced diver to adjust the strokes to achieve a high level of control. Split fins are somewhat more sophisticated. The split is designed to create a vortex which assists with the propulsion. Ultimately, it also should result in more speed. The second advantage with regards to the split fin is that on the upward stroke the water can pass through the split. The upward stroke does provide the least propulsion power so the upward stroke with a blade fin mostly requires energy that is not resulting in a lot of movement. The split fin allows to preserve energy which can result in less air consumption! Let’s have a closer look at the two types so you can make a decision which kind to get for yourself. Since the blade fins were invented, not much has changed in their overall design. The materials have changed and been replaced with stiffer and lighter materials. Originally, thick black rubber was used while today lightweight plastics are what make a regular fin. Split fins have a split down the center of the blade. You somewhat end up having two blades instead of one. They are designed to act like two separate fins that twist independently with each stroke. This creates a vortex and results in more propulsion power with less energy. There’s simply no straightforward answer. 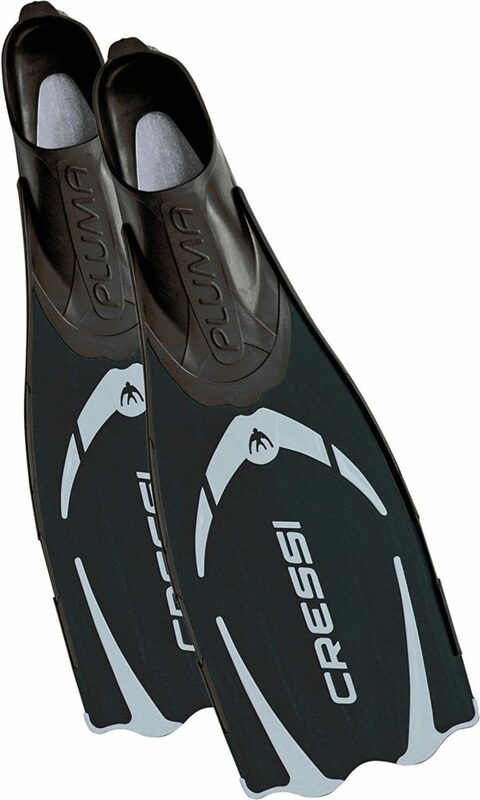 Split fins are easier to handle for the casual or inexperienced diver. They require less energy and also need less technique. Many divers that regularly dive and have more experience prefer the regular fins as they provide more power and are better for maneuvering. 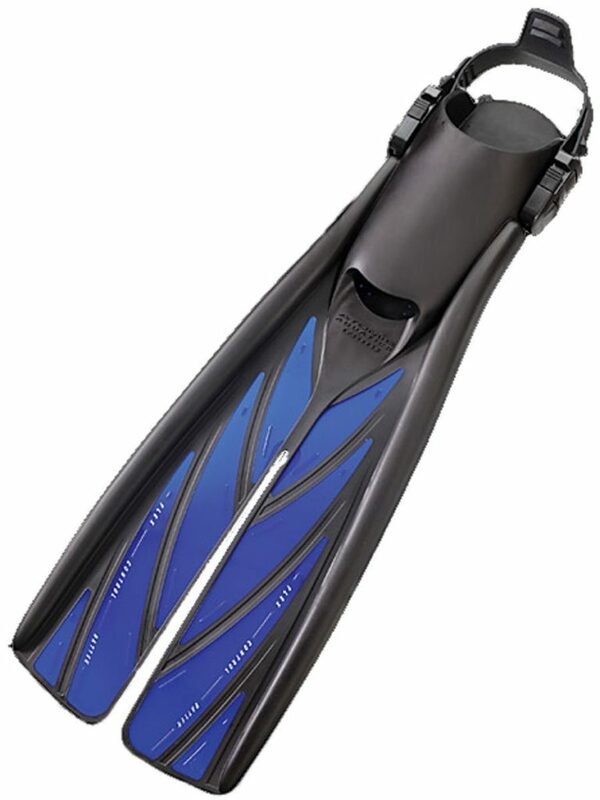 Make sure you pick a specifically designed pair of travel fins when you travel. They are designed to fit easily into your suitcase. The fins are shorter but wider. 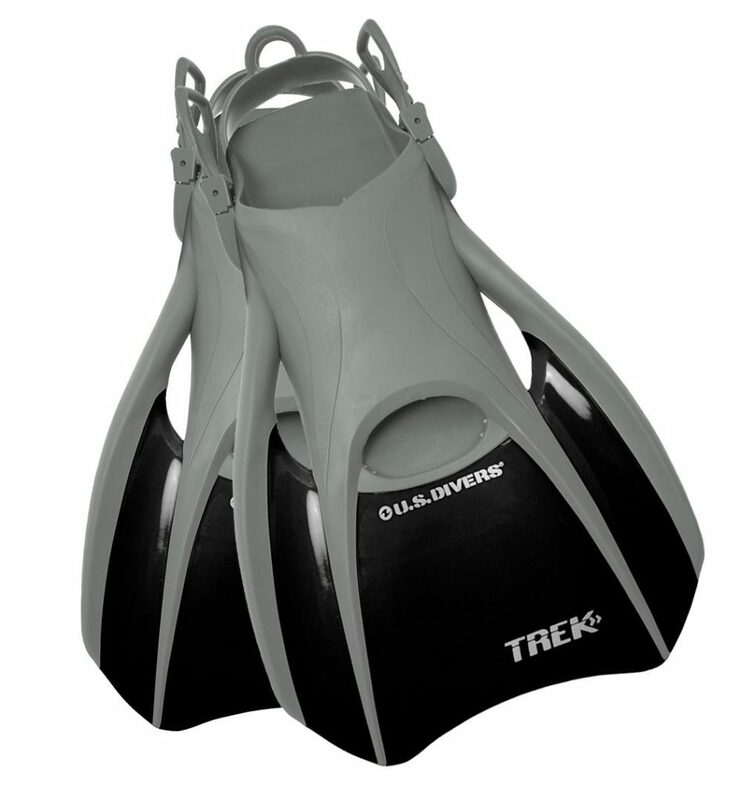 Have a look at the ​US Divers Trek Travel Paddle Fin below! Overall split fins will be better if you’re just starting to dive or if you don’t go very often. You will enjoy the benefits of requiring less strength and the reduced strain on your calves, knees and ankles. It also will help you with oxygen conservation during your dives. Overall, you would want to match your fins to the type of dive you’re intending to have. 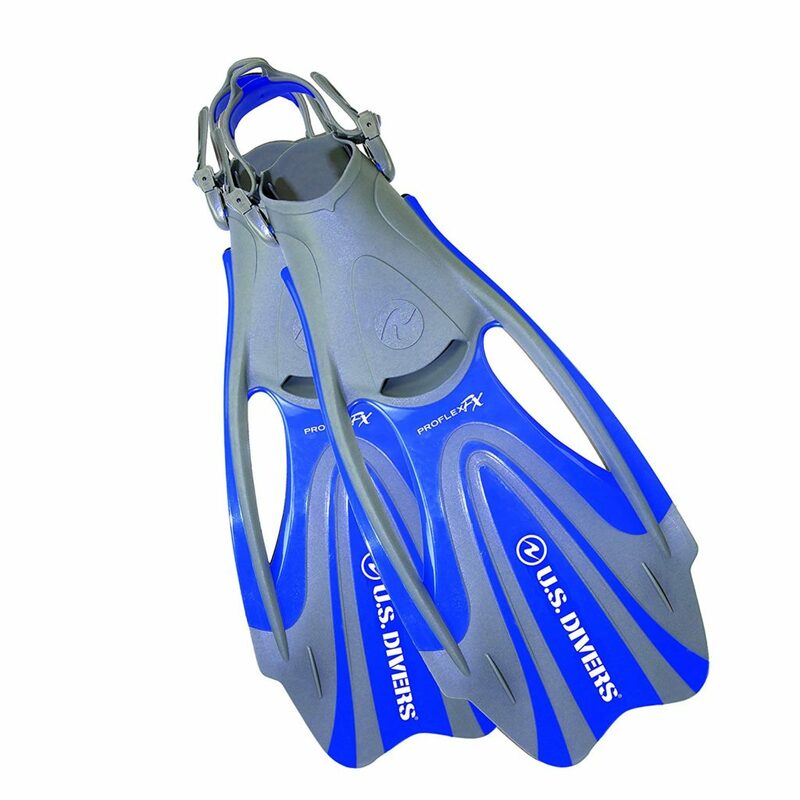 If you’re going to dive in an environment with only little currents then split fins are a great choice. In environments with stronger currents on for technical dives you want to consider using blade fins. They provide a more powerful kick and propulsion and you’ll need the additional maneuverability and precision. Both kinds of fins will get the average diver to where you want to be. It ultimately will depend on your comfort level with your fins and on what kind of dives you plan to take.